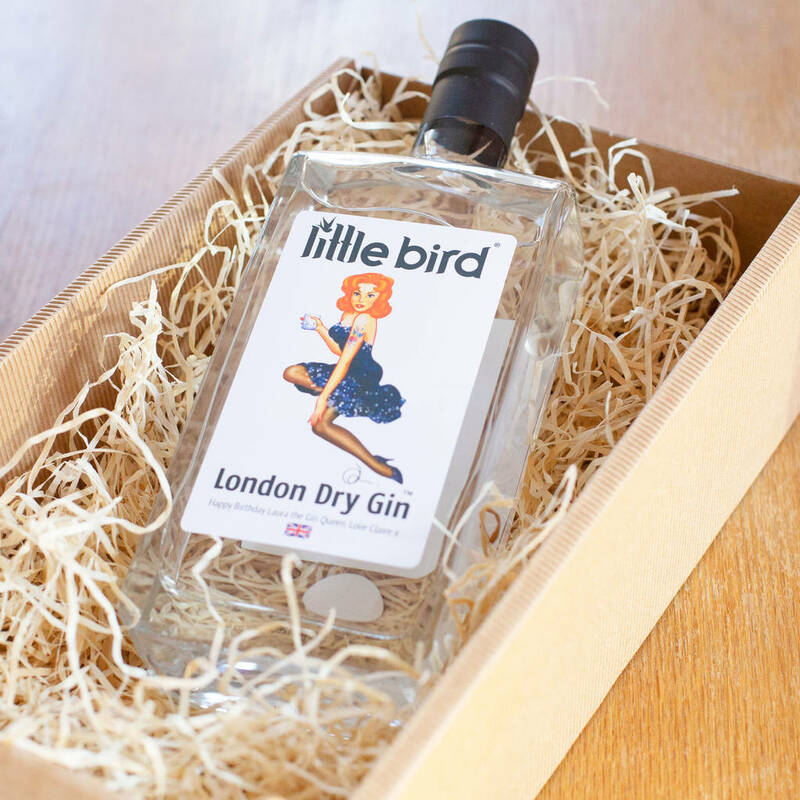 A small batch boutique dry London Gin from the fantastic Little Bird. 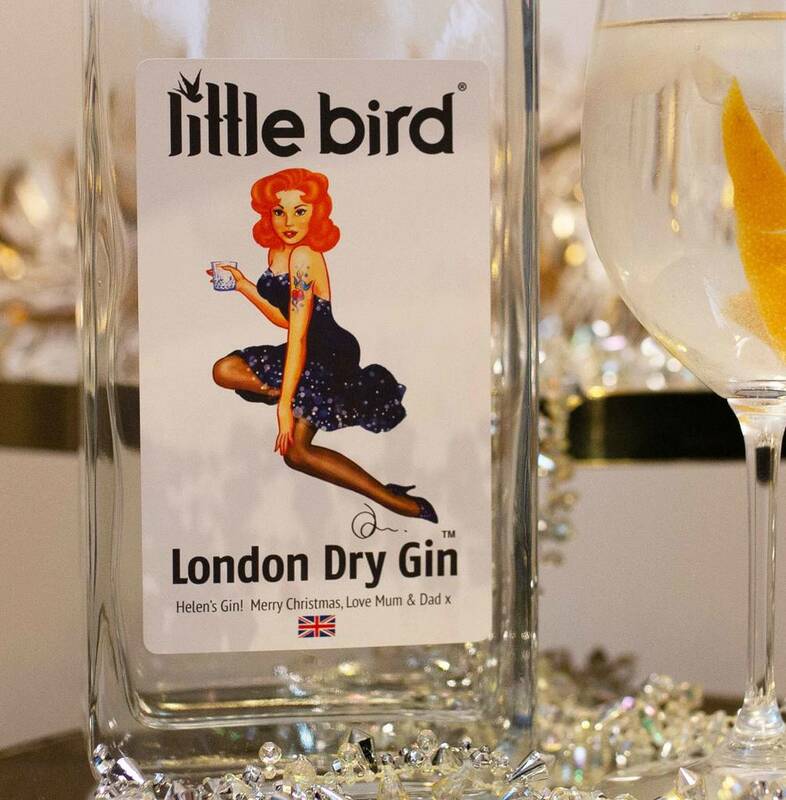 Add your message to their label to create your personalised Gin bottle. Looking for something that’s really neat? 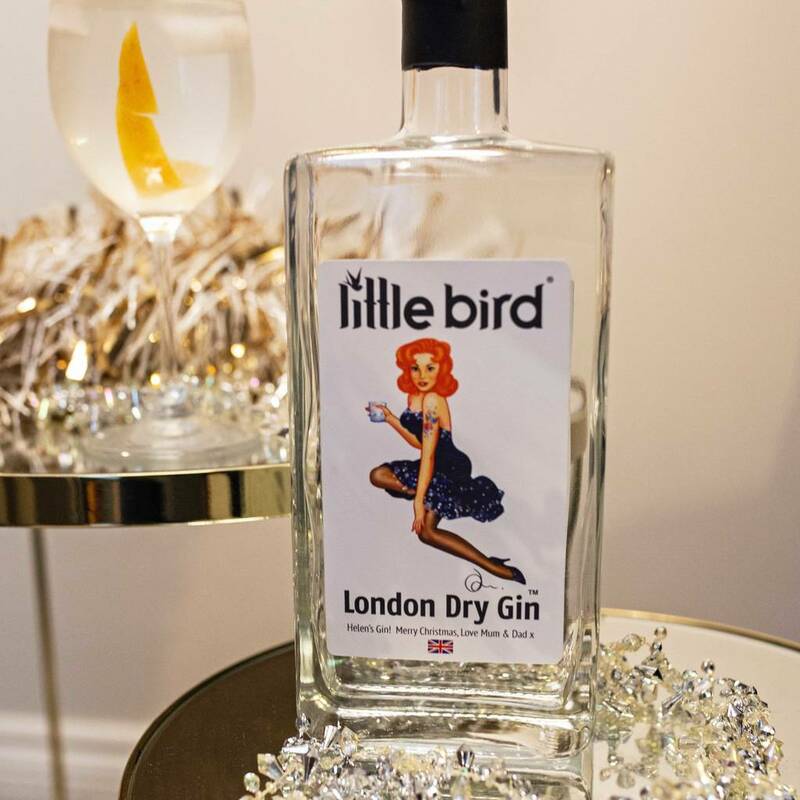 Try a personalised bottle of Little Bird Gin. ‘Gin lover’ is now a category that features on most everybody’s Christmas list. Not just any gin mind you, the true gin lover is always looking for the perfect blend of botanicals. We’ve been on the same journey and we found a boutique brand we truly love – Little Bird. And we think you'll love it too, our personalised collaboration with them makes this a great gift for your friend at Christmas or your mum on her birthday. Their recommended serve is with Mediterranean Tonic and a wheel of Pink Grapefruit peel, its delicious! It starts with a nose of pink grapefruit, then hits your tongue with dazzling juniper and zesty citrus, giving way to a smooth, velvety orange peel flavour to finish. 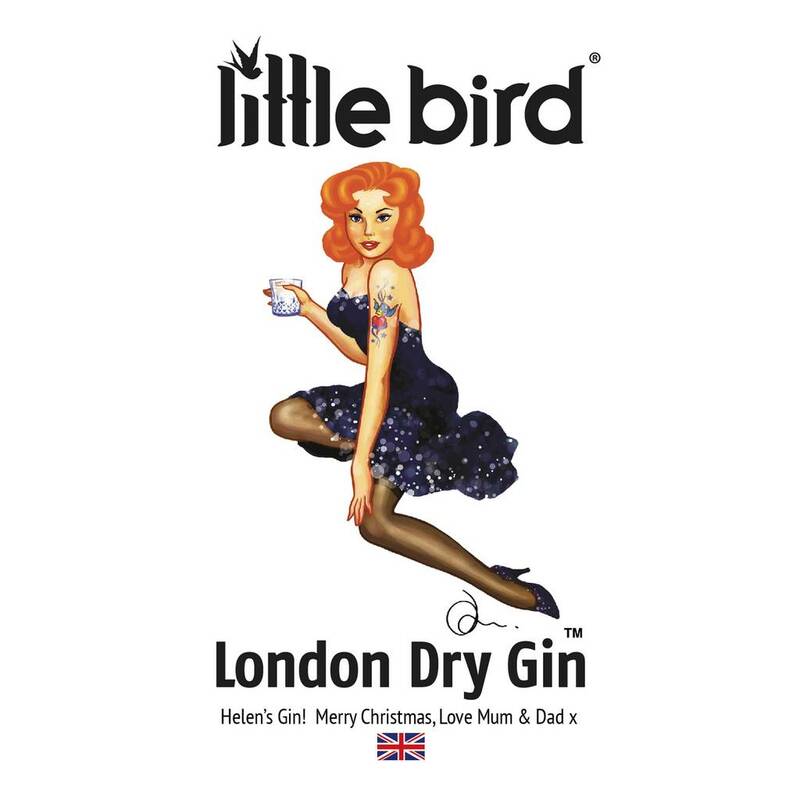 Strangely London Dry Gin doesn't actually have to come from London but rest assured this one does, its born and bred South London. Here at Bottle Bazaar we know you need to put a little bit of effort in when thinking of the perfect gift for Christmas, so we’ve teamed up with Little Bird to let you add your own special message to the label. Dig deep and come up with those words because this bottle is going to be proudly displayed in the drinks cabinet. If you’re struggling, why not slip in our favourite pun, it works on anyone – “You’re really neat”. You can personalise your bottle using the bottom line of text on the front label, using up to 48 characters. Our personalised gin comes beautifully presented - tissue wrapped and in its own gift box. 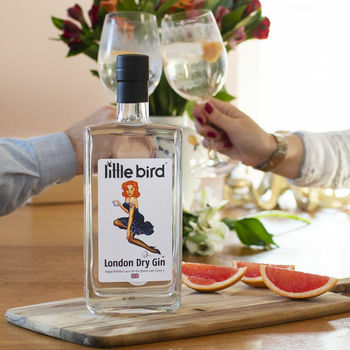 Little Bird Gin. London, England. 41.6%. Suitable for vegetarians and vegans.